Straight Talking Fitness & Redevelop Movement are excited to announce another of our Calisthenics & Bodyweight Strength Training Workshops! Following our warm reception in Norwich we’re now taking our methodology further afield – to the west country as CrossFit Fort Ashton in Bristol will be our host on Saturday the 13th of April. With the ever increasing popularity of functional training and skill based exercise, our workshops will equip you with everything you need – a stable and sensible base. We cover all fundamentals, including creative warm up ideas, joint preparation, handstands, upper body staples (pull ups/pushups/dips/rows & their technique/variations/progression models). If you’re not raising your eyebrows yet, we have some super effective mobility drills for all common trouble spots – ones that not only make you perform and move better but also feel better. And of course there’s always room for some fun in the form of challenges and games! Beyond the workshop, myself and Ollie are only an email or message away and we’re both very active on social media, and more than happy to support you as you move forwards with your training. The workshop spans 3.5 hours with breaks included and plenty of sections to digest the wealth of info we share. All that’s required of you is an open mind, an interest, a willingness to accept a challenge and a desire to invest in yourself. What we love so much about the calisthenic and movement style of exercise is the virtually unlimited avenues for progression and variation. When there’s such a wide scope possible, plateaus, boredom and drops in motivation become things of the past. You’ll also find an unbelievable carryover to the weighted world, as I’ve said many times before. Moves like the squat and deadlift, bench press and barbell row improve without really even sparing a thought for them. And none of this is as complicated as you think. We will start you off on the safest, most effective path that keeps your body balanced and strong, while injury free. Saturday the 13th of April, 1pm – 4:30pm. 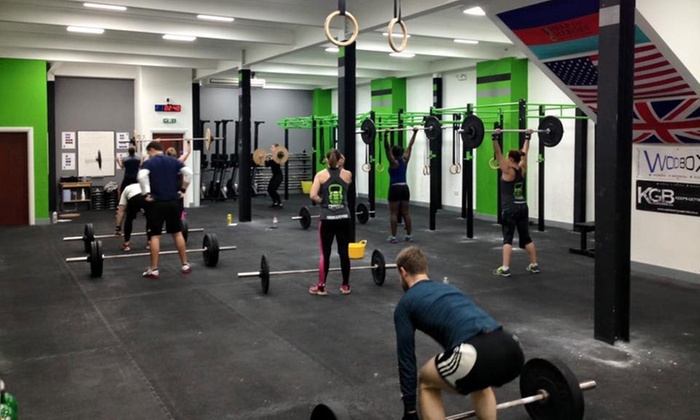 CrossFit Fort Ashton, Unit A, Baynton Road, Ashton, Bristol, BS3 2EB. Is there a minimum strength level required to attend? None whatsoever. We have had participants that weren’t able to do a single dip or pull up and have helped them on their way. We’ve also had people with multiple strict muscle ups under their belt and still gone on to help them further their progress! I don’t think I’ll have the money? You have 3 weeks to save or put a little something to the side. Think of this as an investment in your health and well-being as well as your knowledge base. By attending our workshop you’ll have a headstart on what is, and will continue to be, an ever growing community. If you have any other comments or inquiries, drop me a comment down below or email: straighttalkingfitness@gmail.com. Alternatively, if you’re an avid Instagrammer, drop me a DM (@straight_talking_fitness). See you on the 13th of April! Previous Previous post: When Have You Truly Mastered A Move In Calisthenics? Next Next post: Are The Squat, Bench Press & Deadlift REALLY Irreplaceable?